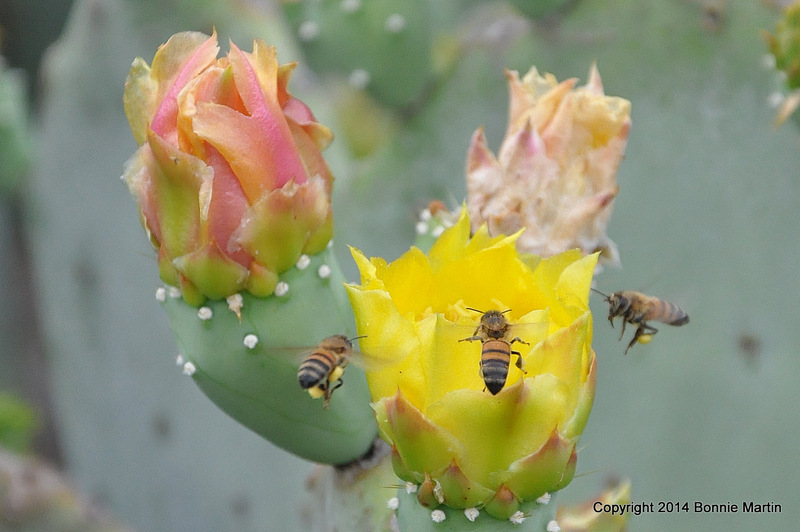 I noticed the other day that my spineless prickly pear was just about to bust into full bloom. The combination of the baby spikes (that it loses) the flower bids and the purple tunas is pretty awesome looking. Well, bloom it did and as I approached this morning I noticed a low humming. 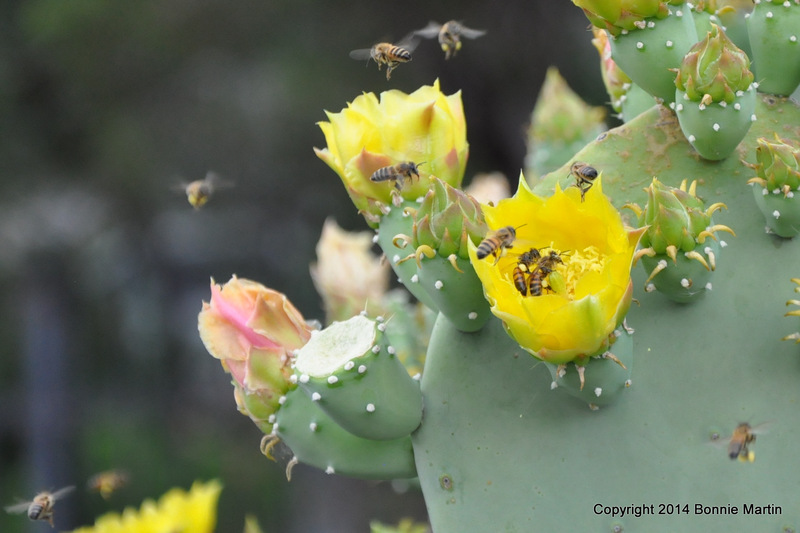 Hundreds and hundreds of bees were having a flower celebration jumping from flower to flower.It was quite the sight- check it out. 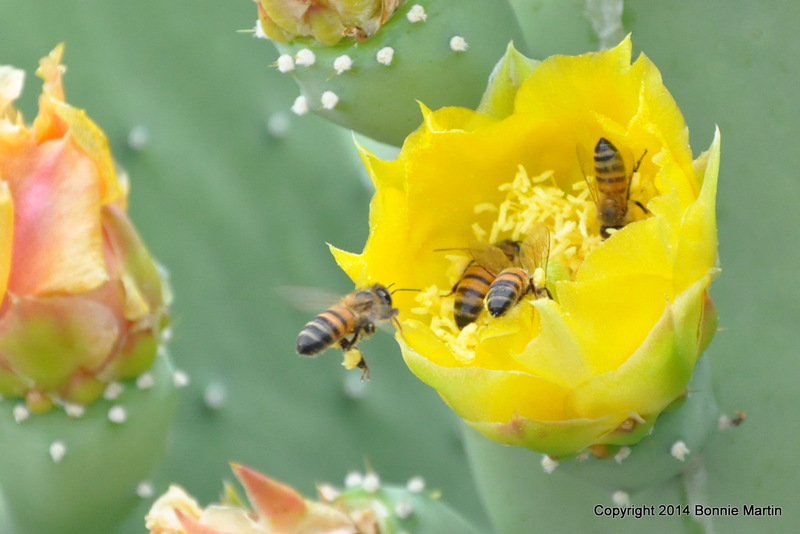 How many bees can you fit in a photo? Prickly pear cactus blooming times can vary by the specific variety you have, but I see a lot blooming in this wet spring we have been having. The flowers can be red, orange or yellow according to variety as well. 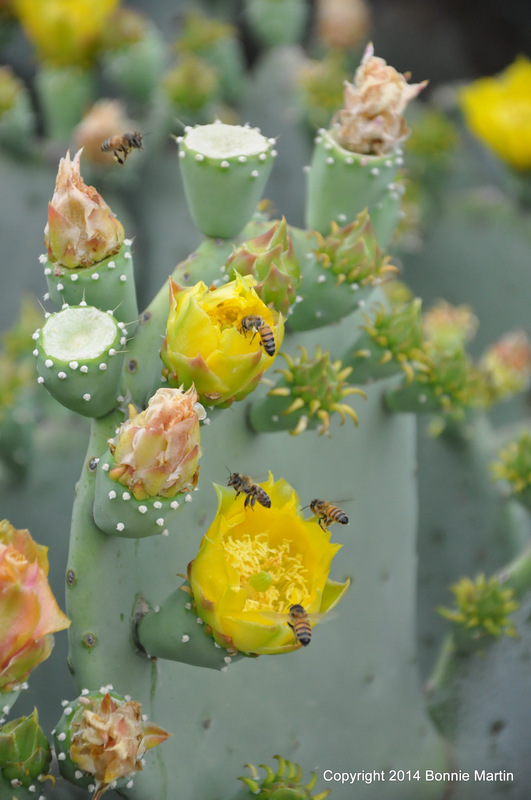 But no matter what, the bees love it. 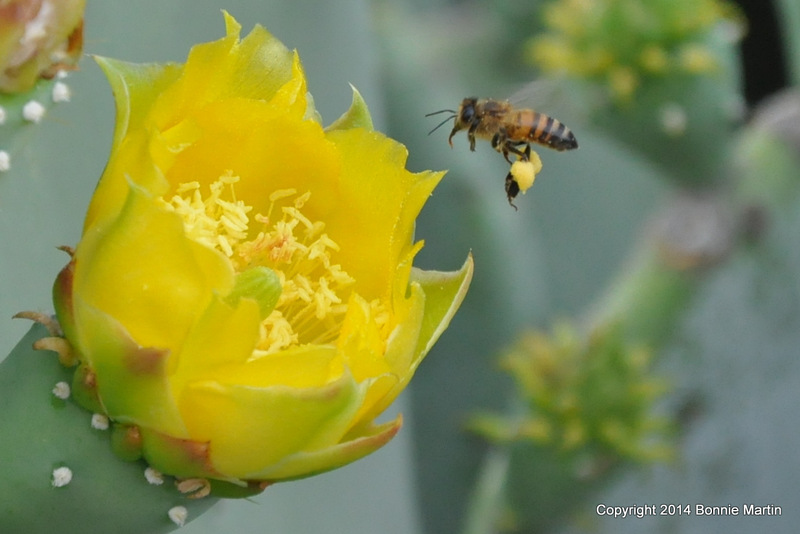 The flowers are filled with pollen and easy to locate. I love the spineless variety even though they are not truly “spineless” so you have to be careful of the small, almost invisible, spikes that still exist and can be a nuisance if they embed in your finger. 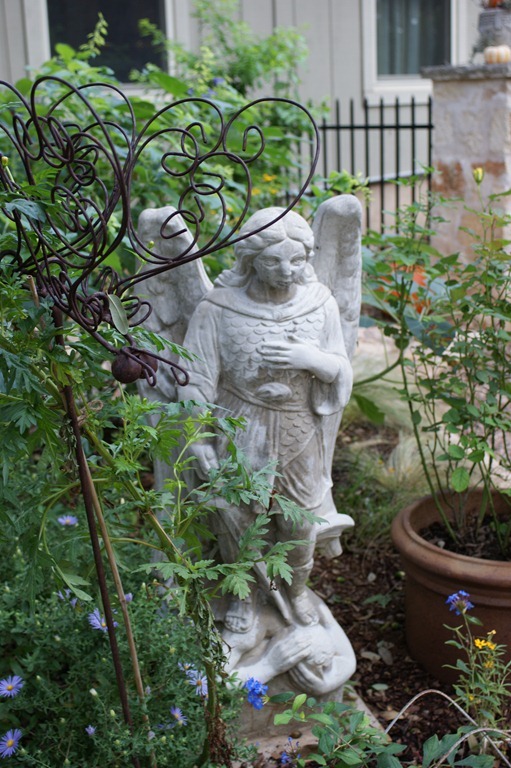 Next week is the Inside Austin Garden Tour, put on by the Travis County Master Gardeners Association and the Texas A&M Agrilife Service of Travis County. 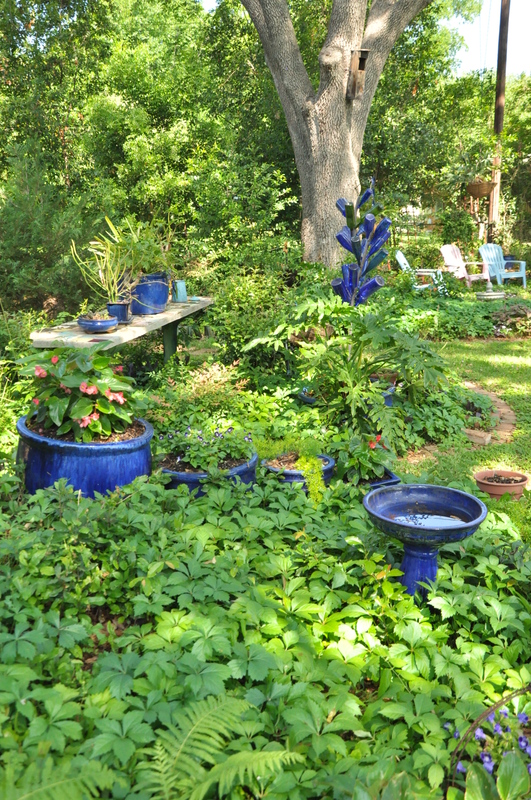 The Inside Austin Gardens Tour happens this Saturday, May 3 from 9 to 4. 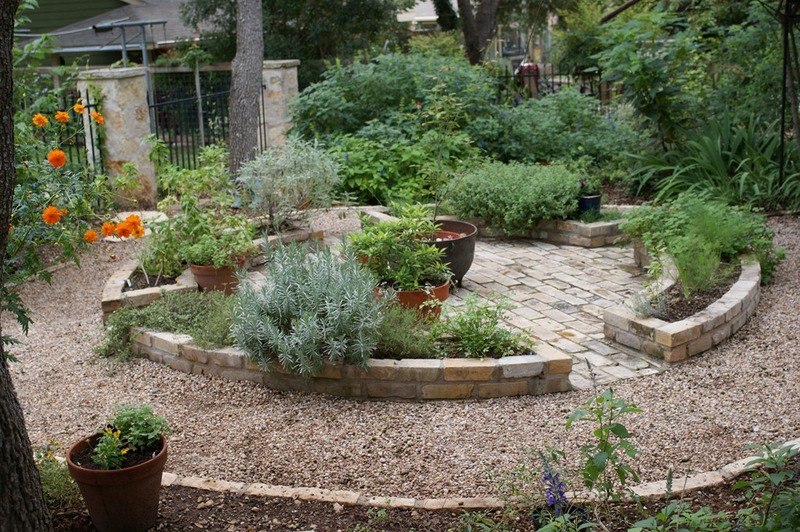 For $15 you can tour six gardens selected by the Travis County Master Gardeners Association. These are gardens cared for by everyday gardeners, and they all have very different feelings to them depending on the challenges met in each garden. From contemporary to cottage, from sun to shade, from flat to hillside, there are ideas for every visitor. I won’t cover garden by garden but I’ll show you some ideas that caught my eye – just a little spoonful of the many delights you can see. 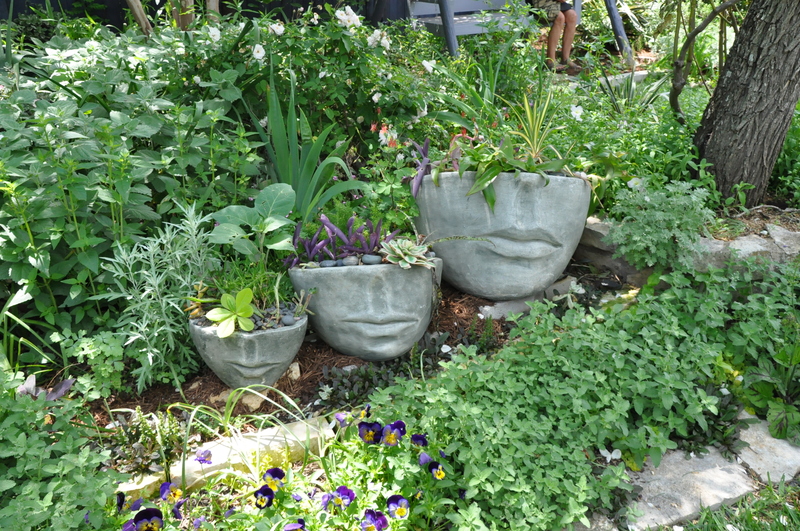 First, I love the creativity of these gardens. 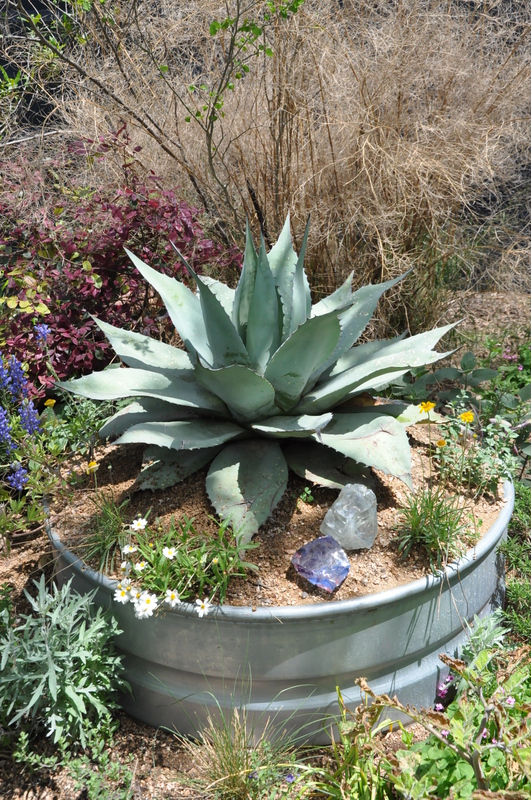 Gardeners making bold choices with garden art, pots, bottle trees, fountains etc. 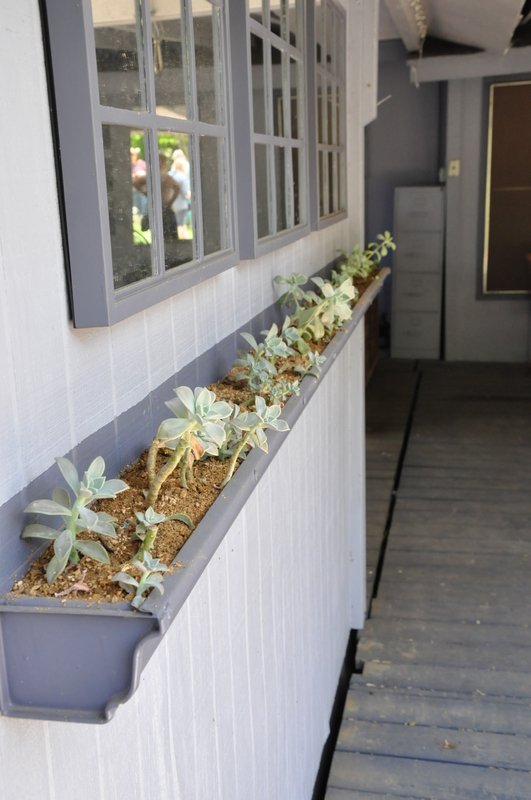 I love this idea for s succulent gutter garden to jazz up an otherwise unexciting wall. This would be fun for a “kids garden wall” as well. Look for those bold mixtures of texture. Notice when you’re touring the gardens how mixing leaf sizes and textures catches your eye. Look for fun ways to upcycle – find shapes in everyday objects that can then be used in unconventional ways. 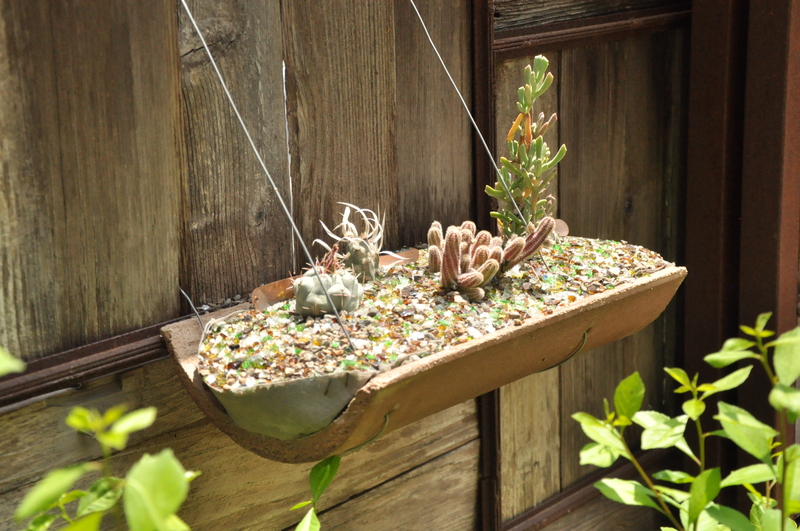 I love the way this simple roof tile is used as a fun succulent container next to a fence. Finding ways to repeat bold touches of color help carry the eye along the garden path. 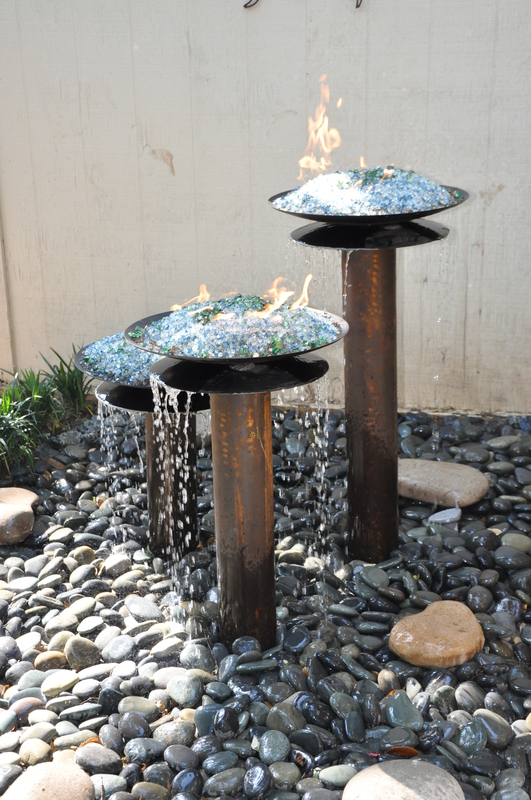 Water features are wonderful-find ways to incorporate them whether it is a simple fountain or a pond. Water adds a lot to a garden. 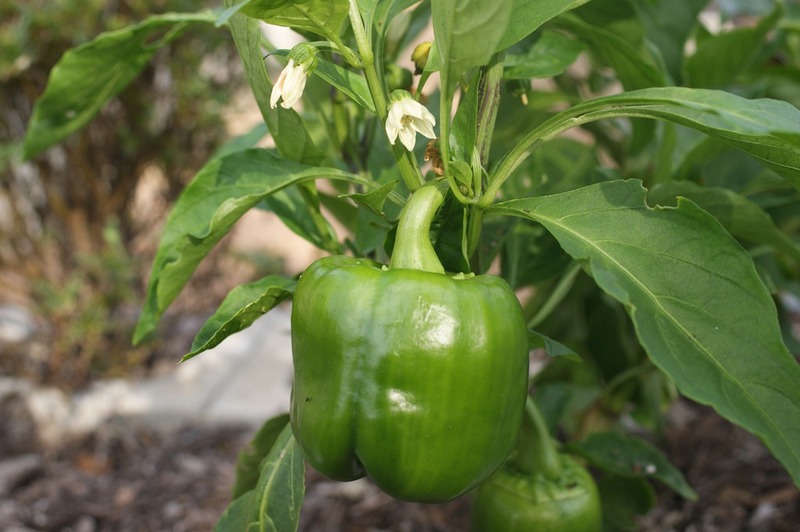 Finally, don’t feel like your garden has to be like everyone else. Make some bold choices that make it completely yours. Ahhh Fall, you come upon us just when we cannot take any more of the blasting furnace of summer. You tease us with a taste of cool evenings and sprinkle a hint of fall weather here and there where we don’t have to shower 3 times a day. But we really know it is fall when the plants breathe a sigh of releif and suddenly burst into bloom, not needing to save up their energy for survival through lonfg hot days and nights. Then we truly see the beauty of fall is when Mother Nature once again is able to show off all of the beauty and we are able to enjoy. The second garden we saw on the tour was the Phillips garden. This was such a great garden to see because to me it rambled through the landscape, taking heed that it was out in forested land, but also tamed some areas to work for the owners such as the vegetable garden area. But the materials looked as if they had just been reshaped from the landscape, which many of them no doubt had been. 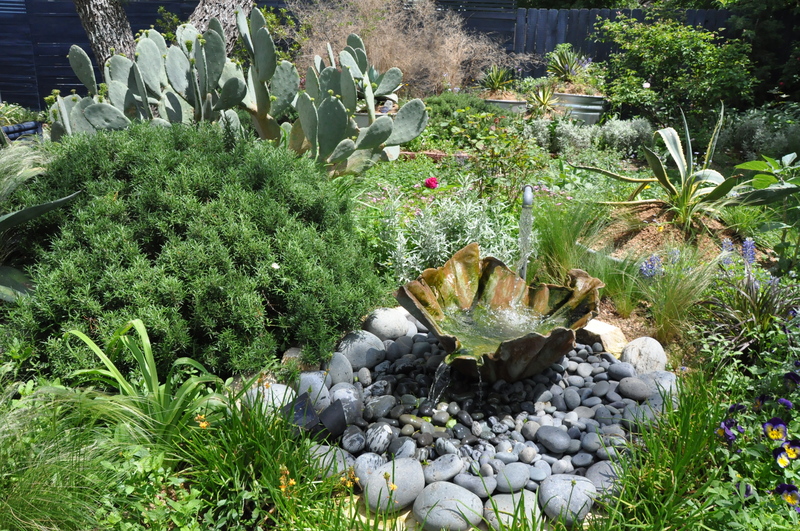 What at first looked to be just a dry stream bed actually was a water feature which the owner could turn on and run water through in dryer times for the aesthetic and for the positive addition to the habitat. Native perennials dotted themselves along the rockwork, softening the hardscape. Once we were past the entrance area, we entered in through a wonderful gate covered with snail ivy mixed in the blue sky vine and were greeted by a landscape of galvanized feeder raised beds with a variety of edibles growing in them. The look was minimal so that it was functional but still went well with the surroundings. All of the raised beds are fed by drip irrigation. I liked the aesthetics that the owner had selected, mixing the textures and looks of metal, wood and rock with the foliage of perennials and annuals. This garden speaks strongly to the hill country style of gardening where you don’t try to reclaim and tame your natural surroundings. Tickets for the tour (all of the gardens) are $15 in advance, or $20 on the day of the tour ($5 for individual gardens). 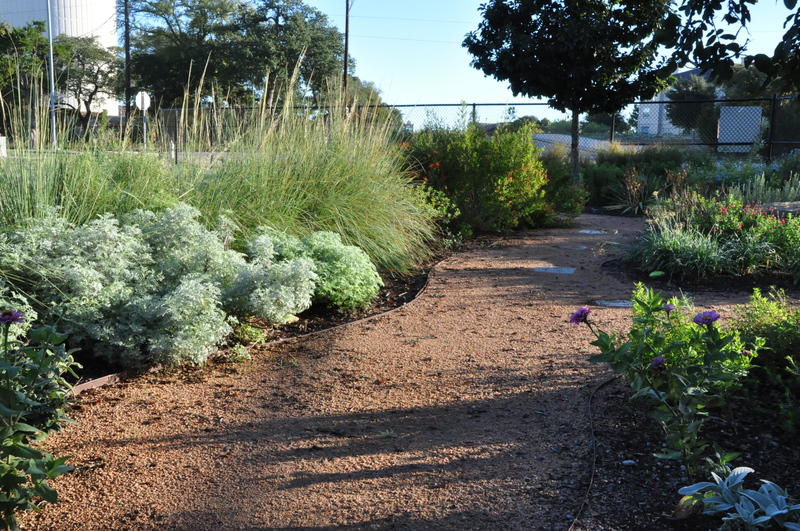 The Inside Austin Gardens Tour is fast approaching on October 20th. 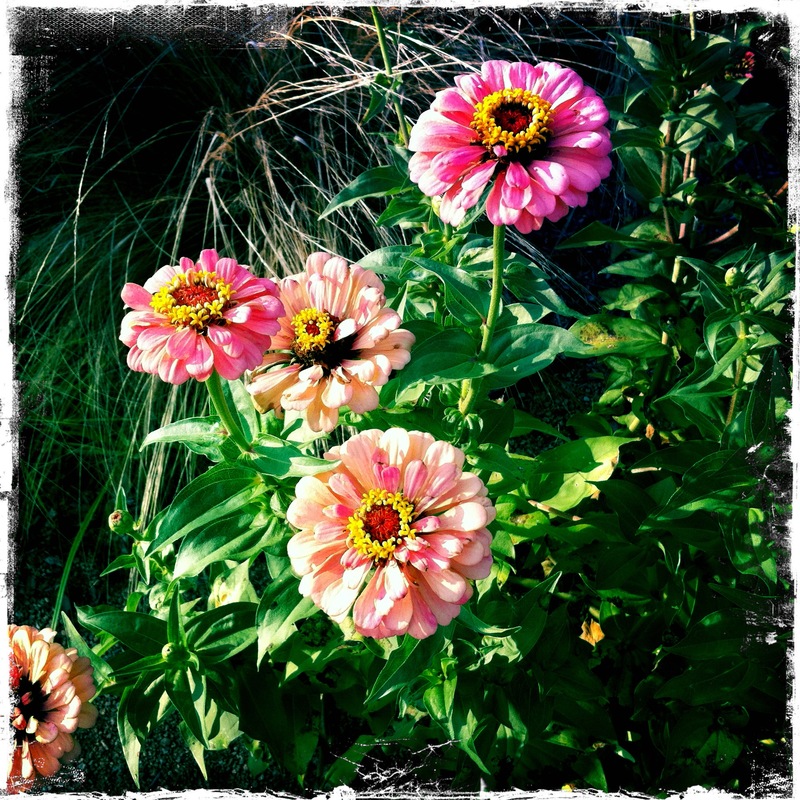 Sponsored by the Travis County Master Gardeners, this tour is near and dear to me because…well, I’m a Master Gardener and I try and do my part every year to help shape a great tour. These aren’t the highly manicured gardens that you might see on other tours where you sigh and dream of what you could do with a million dollars, a professional landscape designer and a gardener on staff to pull any leaf which might look out of place. I ‘m always intrigued because the gardens on the IAGT are so accessible in terms of design but also inspiring in the way that each reflects the vision and personality of their owner. I got a sneak peek of the gardens ahead of the tour and wanted to share them with you. 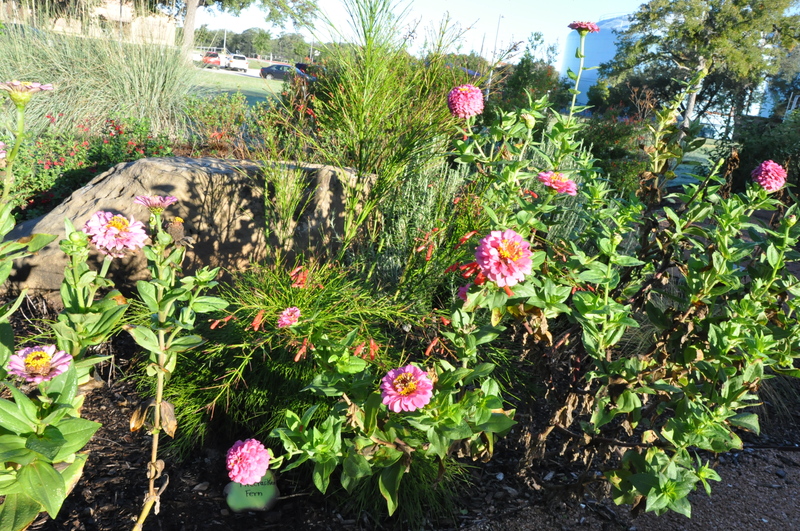 The post today will look at Carolyn and Michael Williams’ garden. 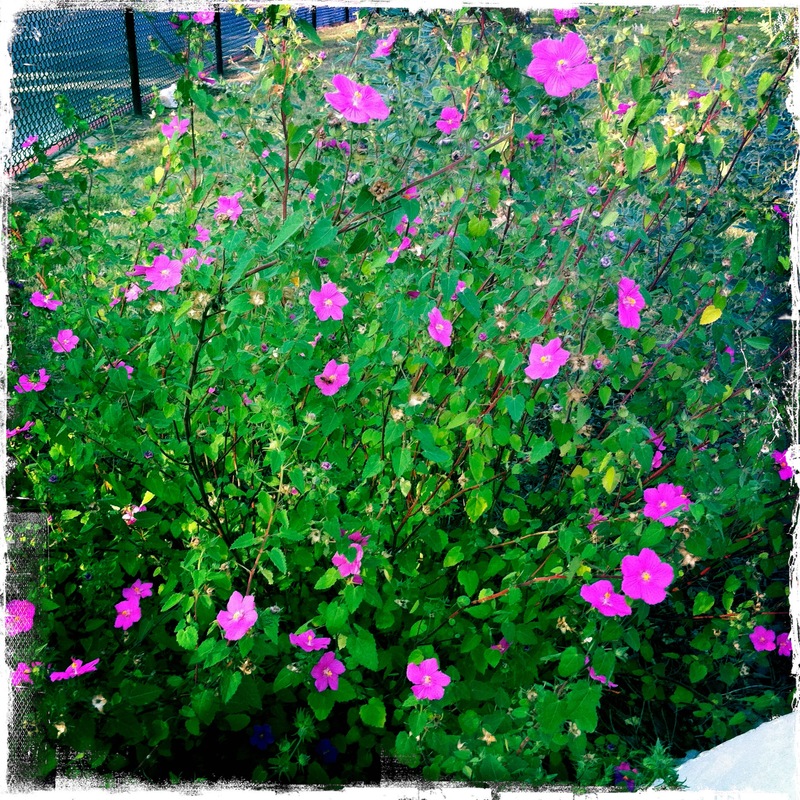 Carolyn is a Master Gardener, rose lover, grandmother, and has deep ties to Central Texas. And I can see all of these things reflected in her garden. She has transformed what was lawn and lots of shade into lovely roaming pathways with plant mixtures that blend naturally. 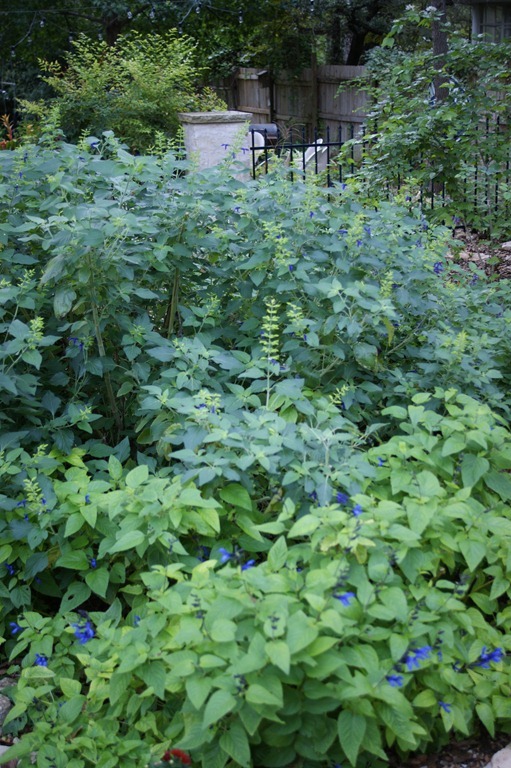 Here, we see a beautiful blue sage blooming but it is the blues and greens of the foliage that really stand out. These plants border an herb wheel in Carolyn’s garden. I love the hardscape and how it breaks up the garden into sections and I am a big fan of special herb spaces like herb wheels and spirals. Here’s a shot of the herb wheel- beautiful in its simplicity. 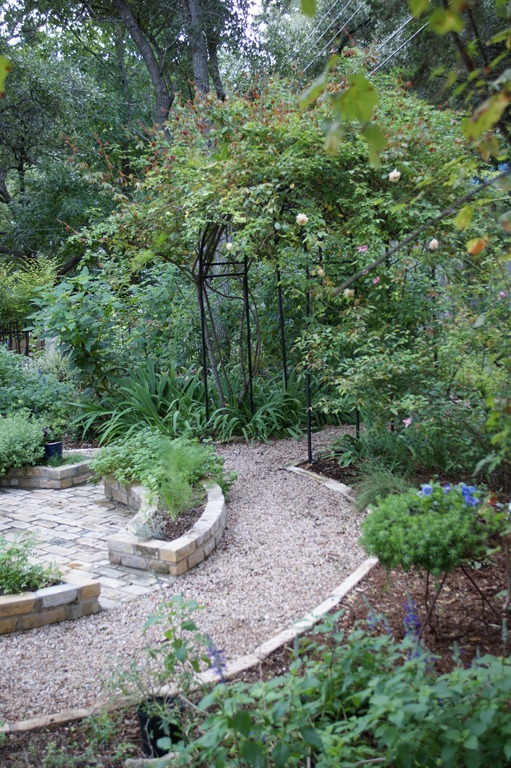 The herb wheel path leads right under a trellis with a climbing rose. 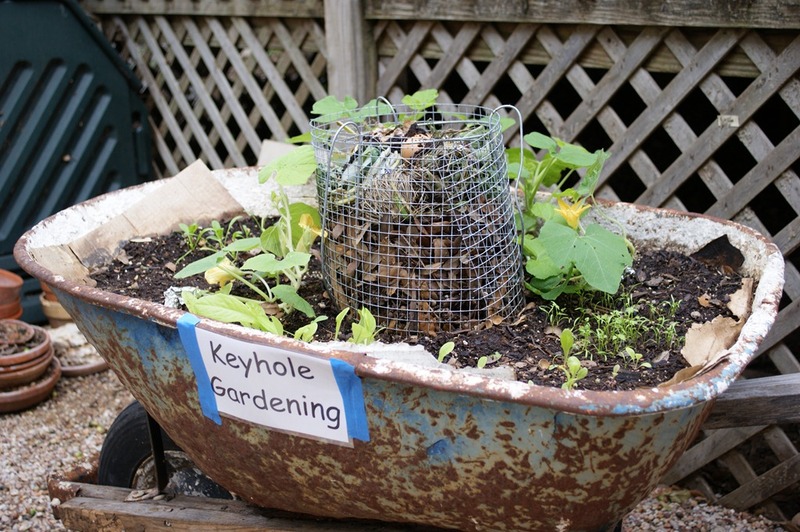 Carolyn has also featured, for fun with her grandkids, a wheelbarrow where she has built a keyhole garden. 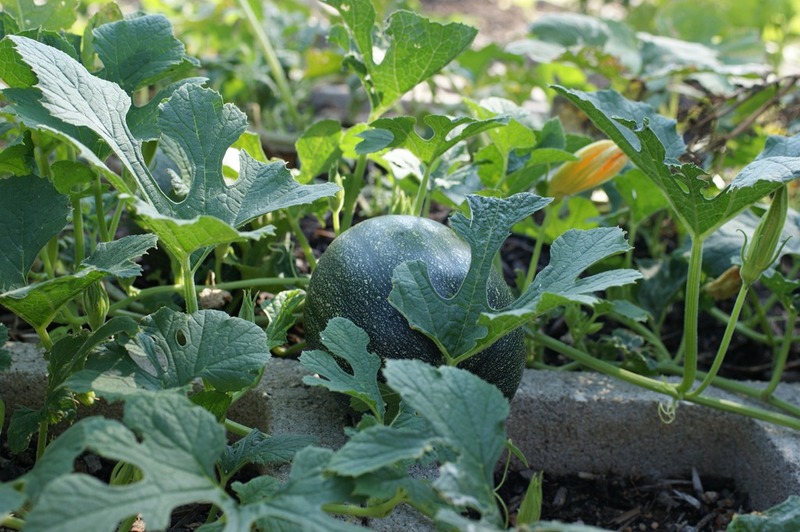 For those who don’t know, keyhole gardening is where you build a garden- usually circular in shape with a wedge shape cut out- and then have a small compost pile held by wire plopped right in the center. By placing compostable materials there and watering through, the garden is both watered and leeches nutritional goodness through this compost basket. Carolyn has created a very cute version in a wheelbarrow and she says her grandkids love to take care of it. 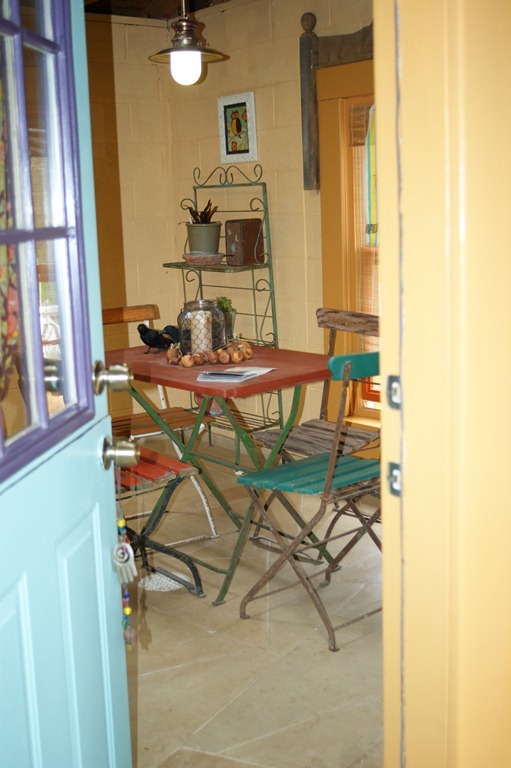 Carolyn has also converted an old shed on the property into an outrageously cute garden cottage. Her grandkids must love it and I could just imagine them having their garden treats in there. 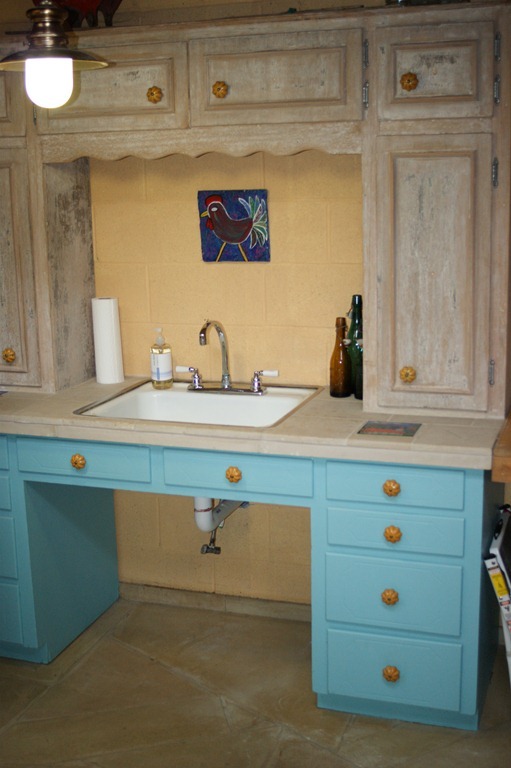 But it also serves as her garden work area with running water and a work table. 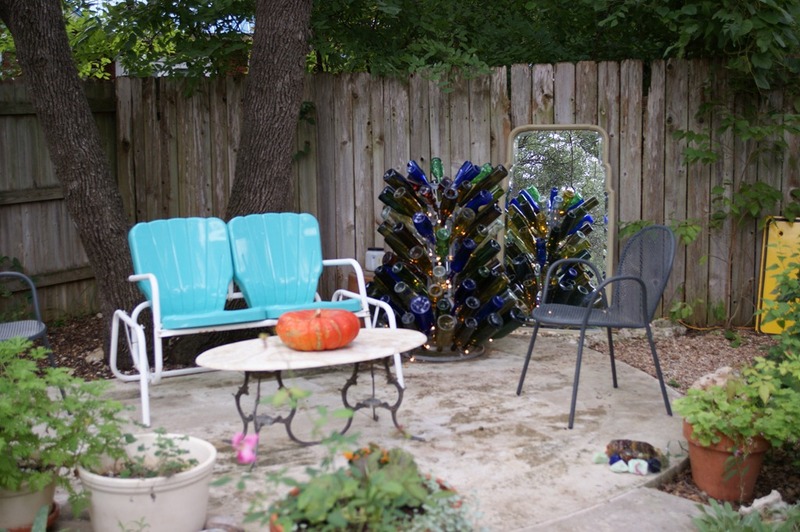 Along with other charming touches, Carolyn has a bottle tree (bottle bush?) positioned to perfectly reflect in a mirror and multiple statues including St. Michael and St. Francis. 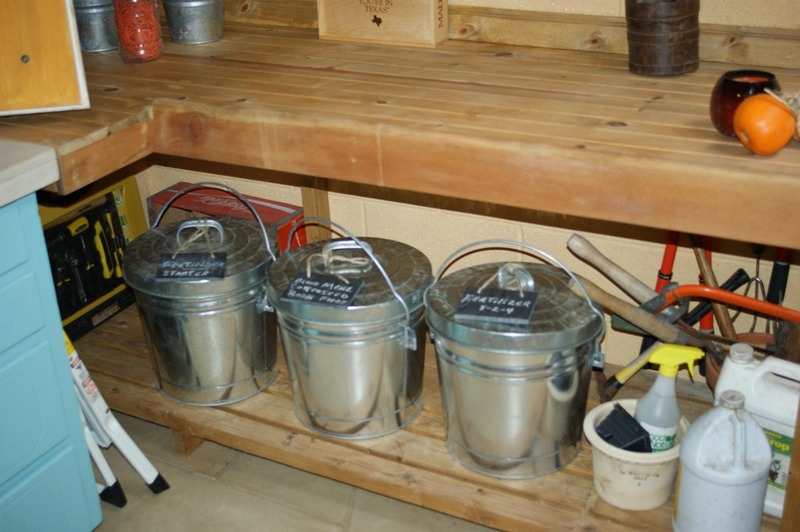 Carolyn has beautiful choices in plants and some very creative touches, including an insectary area stocked with plants specifically chosen to attract insects to her garden. This garden is stocked full of ideas that will give inspiration to the tour visitors. This time of year is my favorite. I’ve always been a fall weather girl. I like the colors in nature and in fashion. I love the cooler weather. And cozying up with soups and stews is right up my alley. But it is also the hardest season of the year for me. 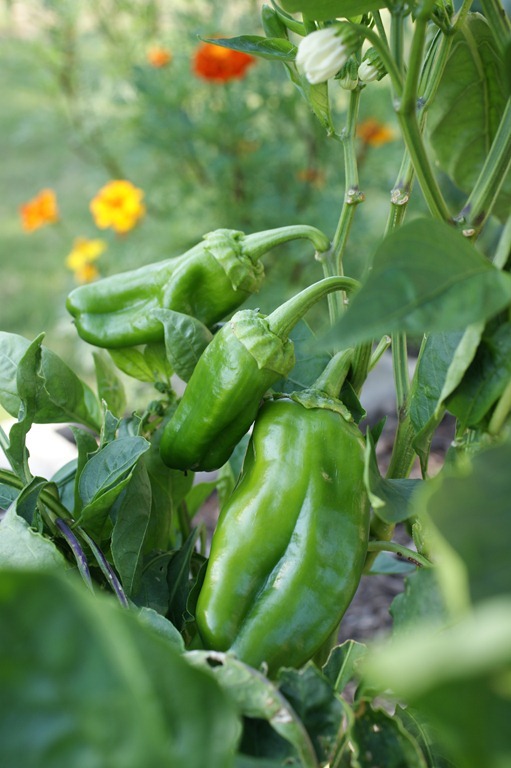 The warm season vegetable garden is not only hanging on but much of it is downright gorgeous right now and the cooler season vegetables need to go in. So where do you draw the line? When is it time to call it quits on warm and move to cool? And that’s where I have trouble. I HATE pulling out anything that is alive. 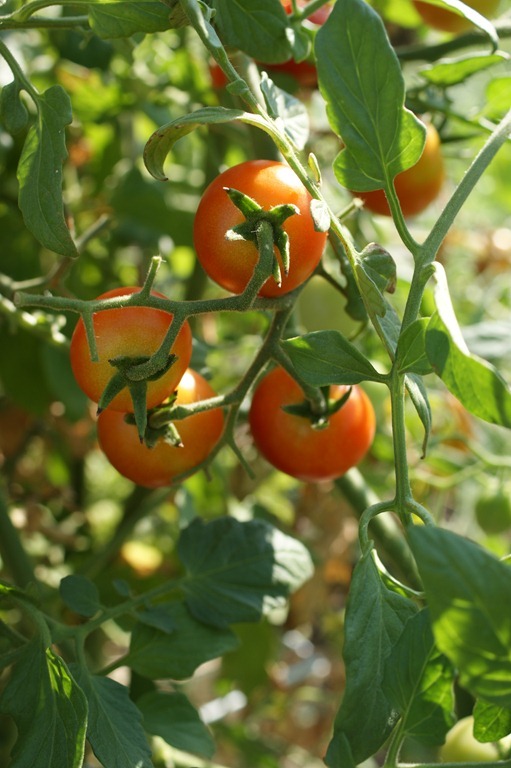 At the school garden the other day, I physically could not pull out a tomato plant that was still alive. I had to ask another volunteer to do it for me. She just laughed, counted down and yanked it out. I had hemmed and hawed for weeks about whether I should do that. But here we had it, an empty patch of dirt now just waiting for the lettuce seeds to be planted by lots of tiny hands. 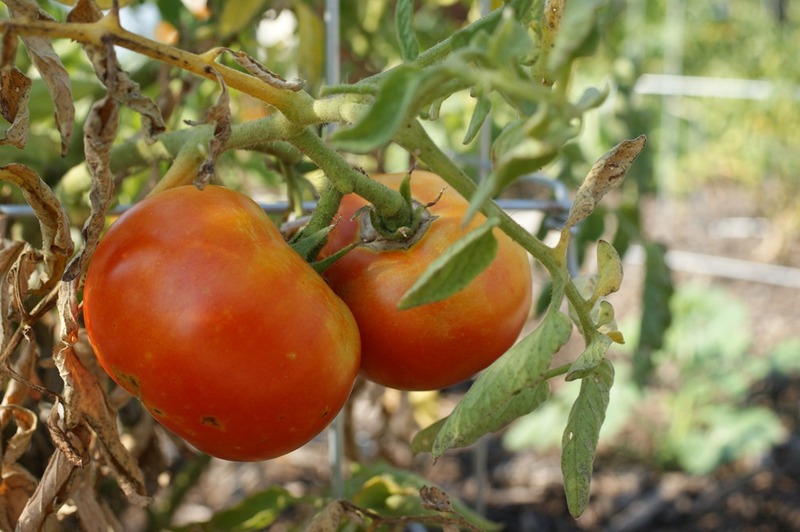 A perfect time to plan to give them warmth and moisture with no danger of frost. But I am determined to become better at it, watch the calendar, not hang onto things because the might still produce. Make way for better things and start my seasons off strong. And why not, if it gives me fresh lettuce for my salad to accompany that delightful chilly day pot roast!